Jun Araki has received an IBM Ph.D. Fellowship. Language Technologies Institute Ph.D. student Jun Araki has received a 2015-2016 IBM Ph.D. Fellowship Award to support his ongoing research into event extraction and event coreference resolution. The intensely competitive IBM Ph.D. Fellowship Awards program honors exceptional Ph.D. students interested in solving problems that are both important to IBM and fundamental to innovation in fields like computer science and engineering, electrical and mechanical engineering, the physical sciences, mathematical sciences, public sector and business sciences, and service science, management and engineering. Fellows receive a one-year stipend, are matched with an IBM mentor according to their technical interests and are encouraged to complete at least one internship at IBM. Fellowships can be renewed after one year based on the recipient's continued academic excellence, progress and achievement, and sustained interaction with IBM's technical community. 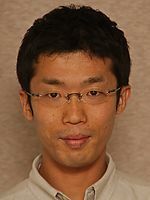 Araki, who works with LTI Research Professor Teruko Mitamura, has been investigating research problems surrounding events and event coreference. His research interests lie in computational semantics, statistical natural language processing, and knowledge representation and reasoning. In the course of his research, he has been addressing two specific problems: how computers can automatically construct general-purpose and domain-specific semantic resources from natural language sources with the aim of semantically effective natural language processing; and how computers can use these resources in concrete natural language processing tasks such as event extraction and event coreference resolution. Prior to joining the LTI, Araki earned his master's degree in computer science at Stanford University in 2011, a master's degree in electronic engineering at the University of Tokyo in 2003, and a bachelor's degree in information and communication engineering at the University of Tokyo in 2001. Read more about the IBM Ph.D. Fellowship program here.